Enjoy breakfast, after which we will transfer back to Arusha. Upon arrival in Arusha will we have lunch and then we will end our African safari adventure. The group should tip the guide around $20 a day. 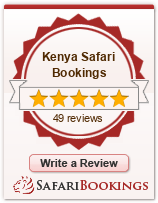 You will be taken to your hotel, which ends our safari services.